SUMNER, Charles, a Senator from Massachusetts; born in Boston, Mass., January 6, 1811; attended the Boston Latin School; graduated from Harvard University in 1830 and from the Harvard Law School in 1833; admitted to the bar the following year and commenced the practice of law in Boston, Mass. ; lectured at the Harvard Law School 1836-1837; traveled extensively in Europe 1837-1840; declined the Whig nomination in 1846 for election to the Thirtieth Congress; one of the founders of the Free Soil Party in 1848; unsuccessful candidate for election in 1848 on the Free Soil ticket to the Thirty-first Congress; elected to the United States Senate in 1851 as a Free Soiler; reelected as a Republican in 1857, 1863, and 1869 and served from April 24, 1851, until his death; chairman, Committee on Foreign Relations (Thirty-seventh through Forty-first Congresses); removed as chairman of the Committee on Foreign Relations in 1871 as a result of differences with President Ulysses S. Grant over policy in Santo Domingo; chairman, Committee on Privileges and Elections (Forty-second Congress); was assaulted in the Senate chamber by Representative Preston Brooks of South Carolina on May 22, 1856, and due to injuries received did not resume full Senate duties until December 1859; died in Washington, D.C., March 11, 1874; lay in state in the Rotunda of the U.S. Capitol, March 13, 1874; interment in Mount Auburn Cemetery, Cambridge, Mass. Dictionary of American Biography; The Yale Biographical Dictionary of American Law; Donald, David Herbert. 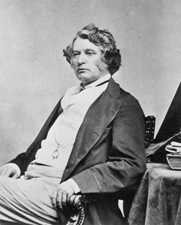 Charles Sumner and the Coming of the Civil War. New York: Knopf, 1960; Donald, David Herbert. Charles Sumner and the Rights of Man. New York: Knopf, 1970.